Mercedes-Benz traveled to CES 2019 to introduce the second-generation CLA. It was a fitting venue for a car that’s considerably more high-tech than its predecessor. 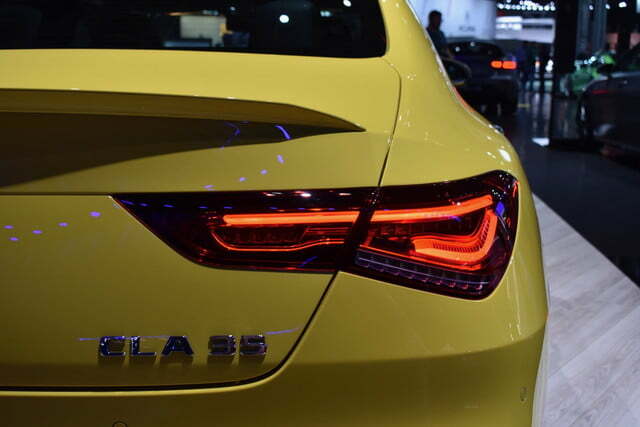 In Las Vegas, the German firm put a greater emphasis on connectivity than on horsepower. 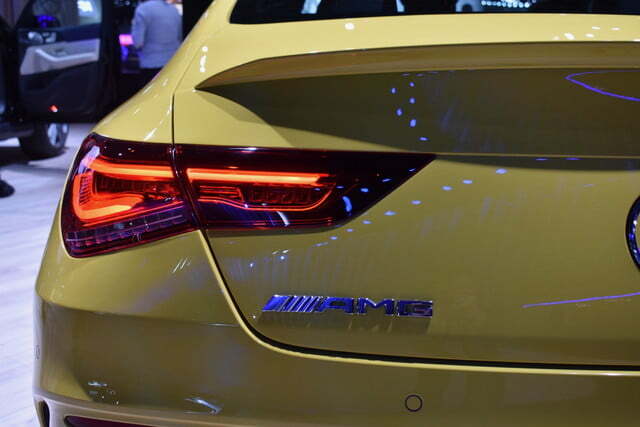 That changed at the 2019 New York Auto Show, when it unveiled a more powerful, midrange variant of the sedan developed by in-house tuner AMG. The CLA remains the design-led member of Mercedes’ growing family of compact cars. Stylists took its front end in a more aggressive direction by giving the headlights and the grille a more angular design. The rippled hood — a styling cue that helped the original CLA stand out — returns on the second-generation model. When viewed from the side, the CLA boasts a fastback-like roofline reminiscent of the third-generation CLS and frameless doors. 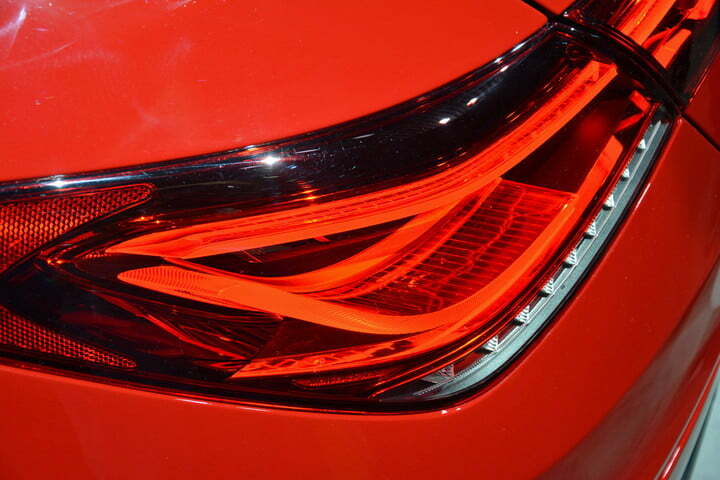 The rear lights are also CLS-like. 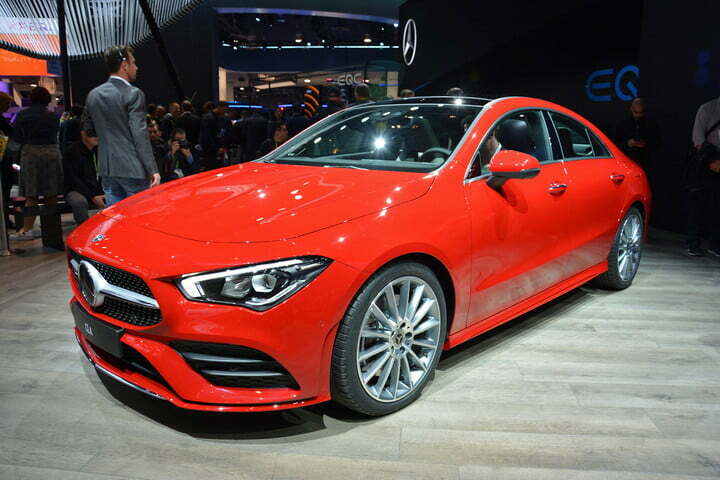 To us, the 2020 CLA looks more mature than its predecessor. The new CLA stretches a little bit longer and wider than its predecessor, and it rides on a slightly longer wheelbase. 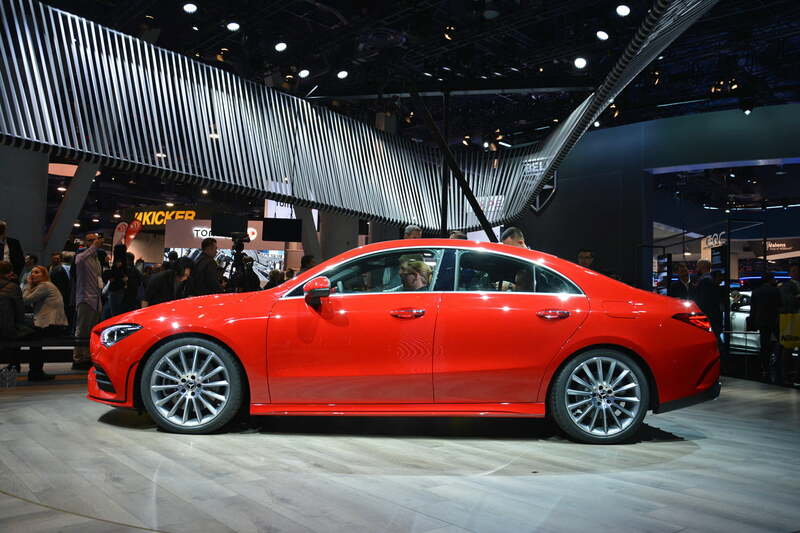 Mercedes needed to increase the model’s footprint to avoid creating internal competition for its new all-star, the A-Class Sedan. 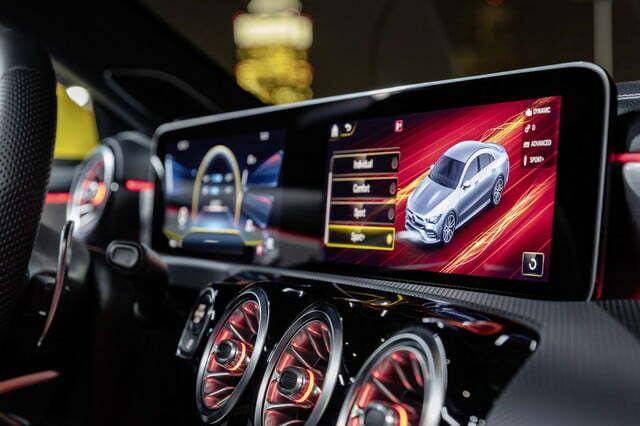 Inside, upmarket variants of the CLA benefit from the Mercedes-Benz User eXperience (MBUX) infotainment system displayed on a high-resolution, 10.25-inch touchscreen. This artificial intelligence-powered software adapts itself to individual users by learning their habits, whether it’s a phone call made at the same time on the same day every week or a route driven regularly. Natural voice-recognition technology lets the passengers navigate the software’s various functions. They’re also able to use the touchscreen or a touchpad located on the center console. This artificial intelligence-powered software adapts itself to individual users by learning their habits. The tech doesn’t stop at the screen. Mercedes added an automatic dome light that turns on when it detects a movement below it. The CLA will inaugurate this technology, but we expect it will spread across the rest of the Mercedes lineup in the coming years. Electronic driving aids like lane-keeping assist, speed limit assist, and blind spot assist are also available. 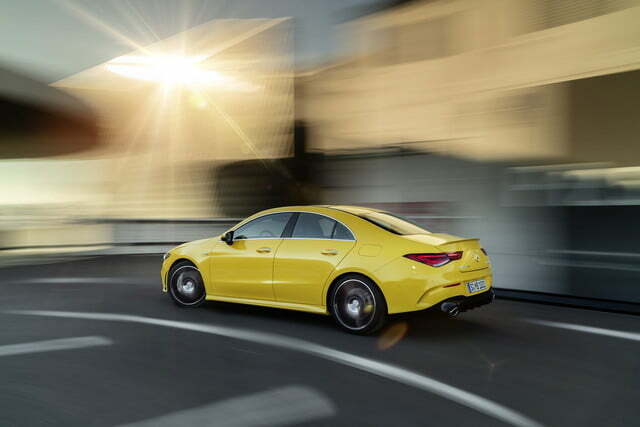 The entry-level model is called CLA 250. 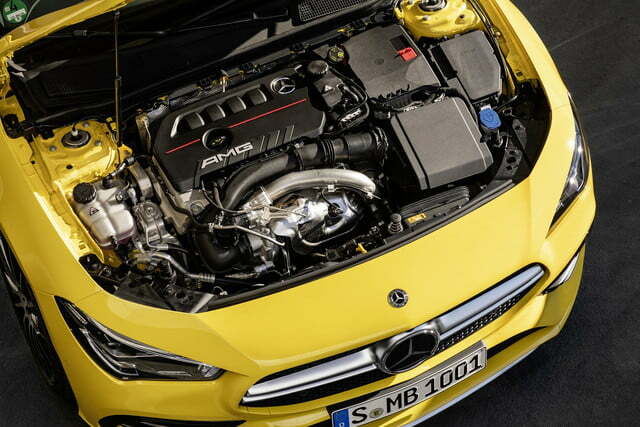 Power comes from a brand-new, 2.0-liter four-cylinder engine turbocharged to deliver 221 horsepower at 5,800 rpm and 258 pound-feet of torque from 1,800 to 4,000 rpm. Front-wheel drive and a seven-speed automatic transmission come standard, and Mercedes’ 4Matic all-wheel drive system is offered at an extra cost. Performance specifications and fuel economy data aren’t available yet. 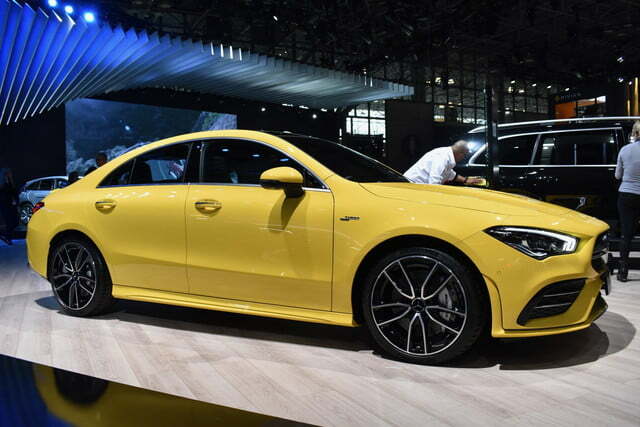 The hotter variant scheduled to greet the public at the 2019 New York show is named CLA 35 (pictured above). 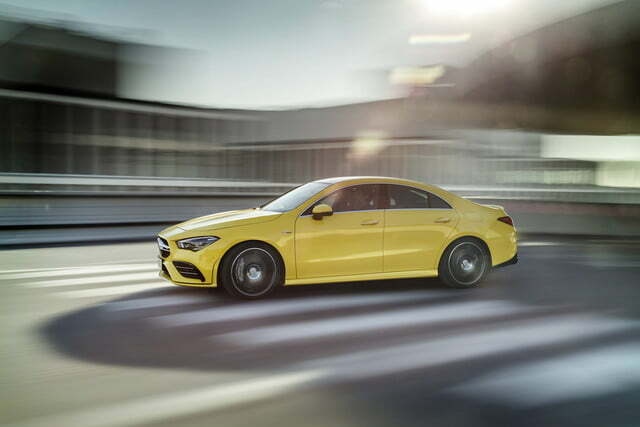 Like the A35 unveiled in early 2019, the CLA 35 receives a turbocharged, 2.0-liter four-cylinder engine tuned to provide 302 hp at 5,800 rpm and 295 lb.-ft. of torque from 3,000 to 4,000 rpm. 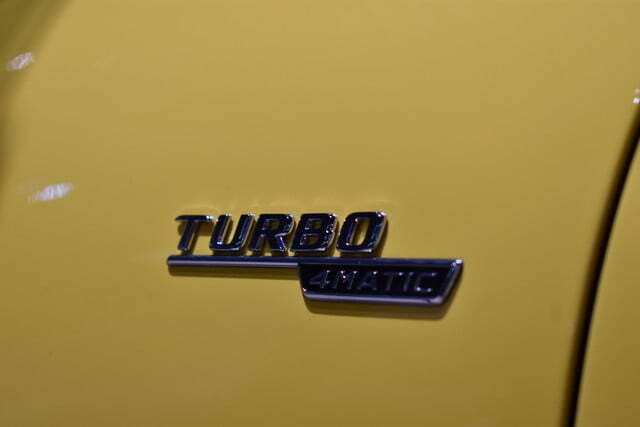 The turbo four spins the four wheels through a nine-speed automatic transmission and a sport-tuned version of Mercedes’ 4Matic all-wheel drive system. Mercedes predicts its latest sport sedan will take a brisk 4.6 seconds to reach 60 mph from a stop. 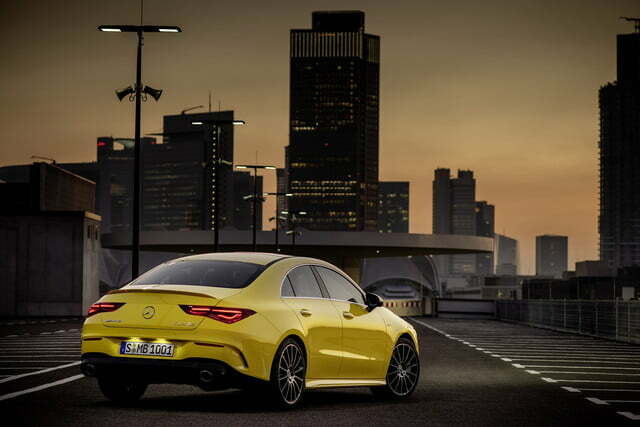 From there, the CLA lineup will only get hotter. 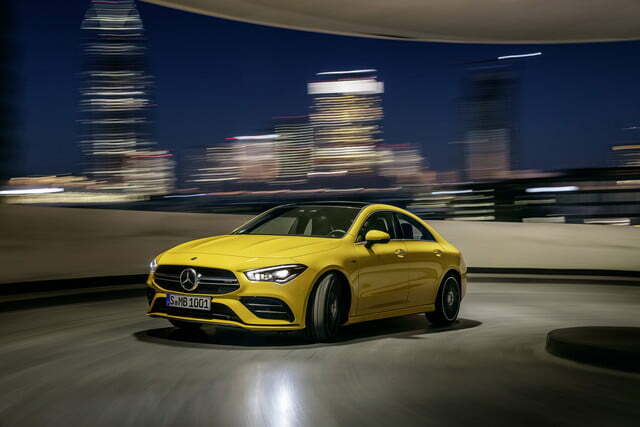 The range-topping CLA 45 will make its debut before the end of 2019 with over 400 horsepower under the hood. 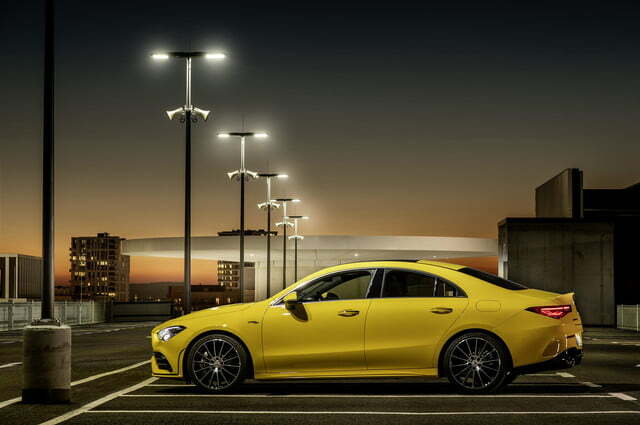 Both AMG-tuned variants are coming to the United States, but Mercedes won’t send us the swoopy CLA Shooting Brake it sells in Europe. The company has previously argued there’s not nearly enough demand for station wagons from American motorists to justify adding the model to its lineup on our side of the pond. 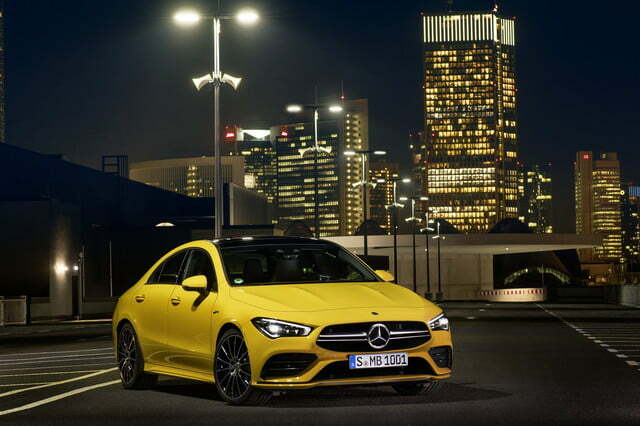 The 2020 Mercedes-Benz CLA 250 and CLA 35 will begin arriving in showrooms in late 2019, but enthusiasts will likely have to wait until early 2020 to get their hands on the CLA 45. Pricing information for all three models will be released in the weeks leading up to their respective on-sale date. 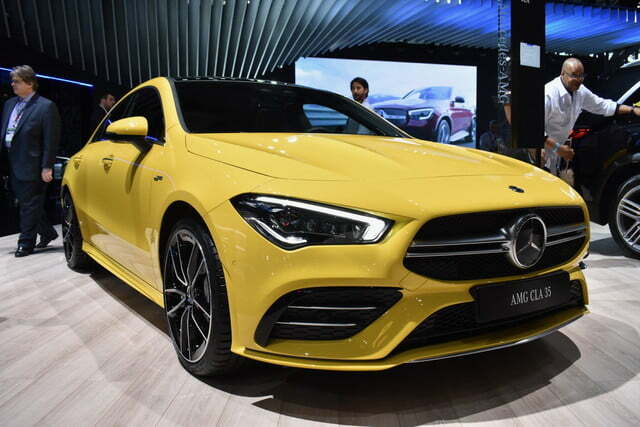 Updated on April 18, 2019: Added live photos of the CLA 35.